Isabel Hermosilla Gimeno is currently working at the Institute of Rare Diseases Research (IIER) of the Institute of Health Carlos III (ISCIII). Within the RD-Connect project, Isabel works on rare disease patient registries. 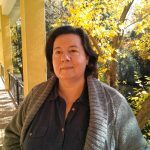 Isabel Hermosilla Gimeno holds a Bachelor's and a Master’s degree in Biology from Boston University, USA and a DVM (Doctor of Veterinary Medicine) from Colorado State University, USA (all degrees validated in Spain by Universidad Complutense of Madrid, Spain). She has worked as researcher on European and National funded projects for the last 18 years. These projects include BIOINFOMED, INFOGENMED, INFOBIOMED, Action-GRID and INBIOMEDvision financed by the European Framework Programs and The Cooperative Thematic Research Networks COMBIOMED and RETICEF financed by the FIS in Spain. Isabel has also collaborated on other projects such as CHRODIS and the EIP-AHA Joint Action. She has experience in biomedicine and healthcare.